Home » Blog » The website is back in action! Hello, Flying Bison fans & webpage visitors. As 2017 comes to a close, we thought we’d bring back the blog along with the updated look to the website. Before we type on about our future, we’d like to acknowledge an important figure in our history. 2017 marked the 20th anniversary of the passing of our co-founder Larry “Red” Mrozek, home-brewer, facial hair aficionado, and huge craft beer advocate in the city of Buffalo. 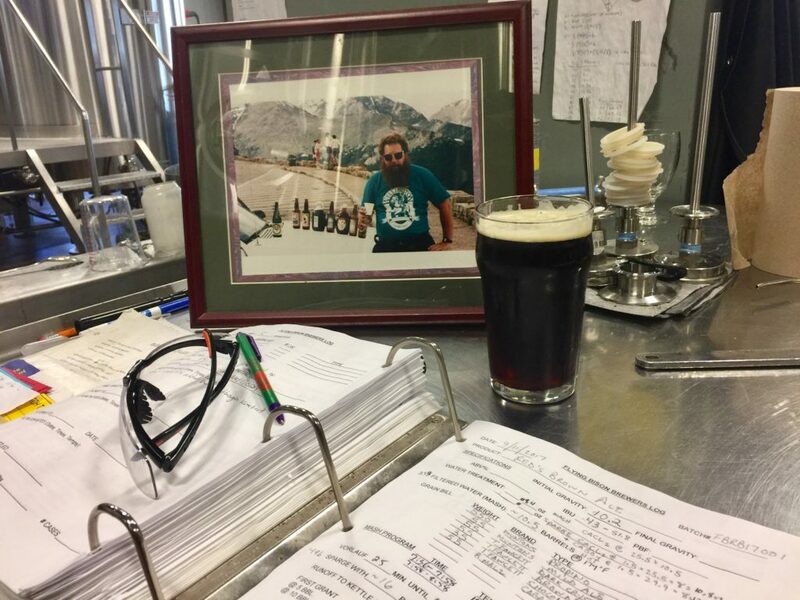 There are still a few kegs of Red’s Brown Ale at the tasting room, a tribute beer brewed in fall in honor of Red, with the classic recipe coming from the vaults of our Hop Jack (with tweaking by Red himself). Bold, balanced, and supremely drinkable…come raise a pint for Red while you still can! The entire brewery is going through some tweaks and changes to help start 2018 off on the right foot. 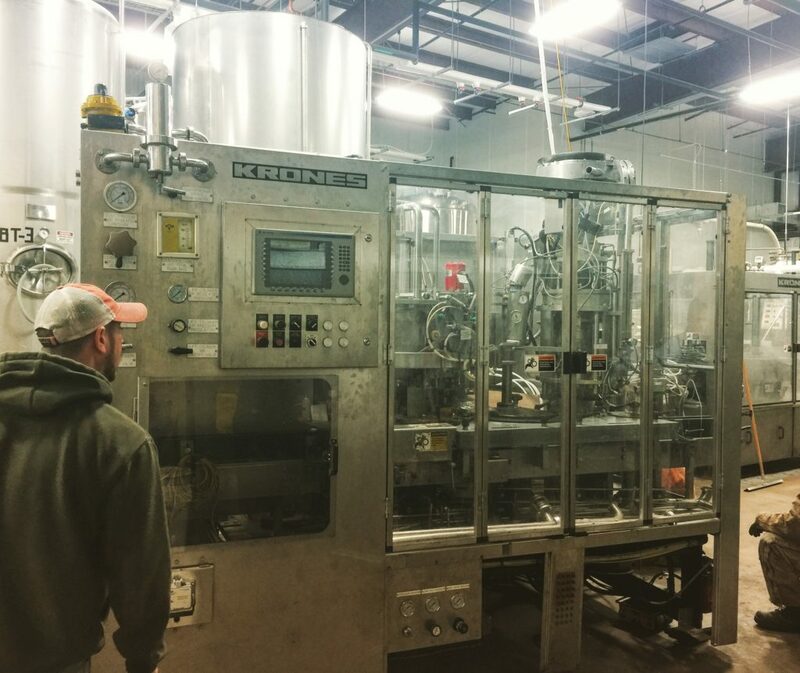 First off, our original bottling line from the Ontario Street days has left the building. 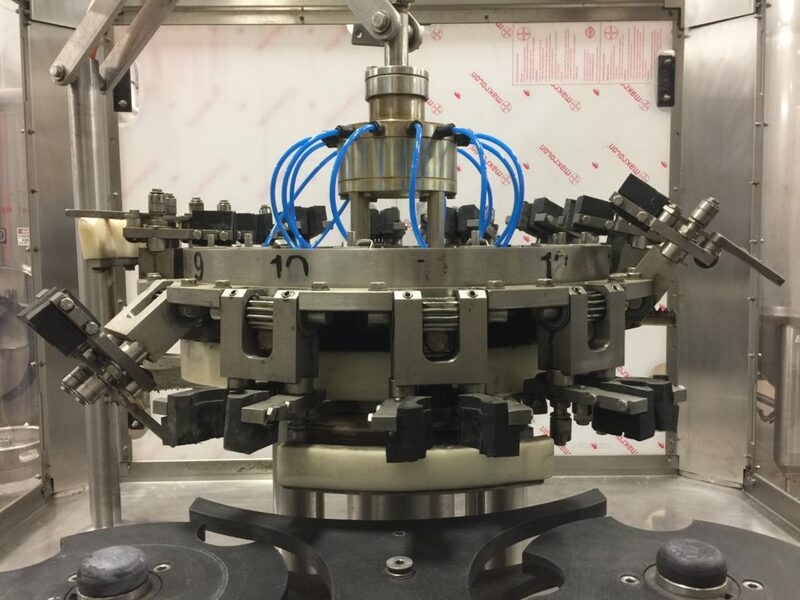 In an effort to get more efficiency in our packaging department, we are in the midst of installing a Krones bottler (to go along with the Krones labeler we picked up a few years ago) and a Criveller bottle rinser unit (to go along with our Criveller brewhouse). By the new year, we’ll hopefully be bottling 4x faster than we have been. Second, our tasting room is going to look a bit different. We’ve updated our snack menu , using locally made products whenever possible. We’ve added a monitor/TV. By the time we open for business December 21, our extraordinarily tall serving counter/bar will have been lowered, to the delight of our visitors under 5’8. By the time spring rolls around, we’ll be sprucing up our back lot patio space to make it more green, private, and lawn-game friendly. We’re also building a stage so we can have some more musical acts in 2018, including a series of Happy Hour concerts on Thursdays in the summer. 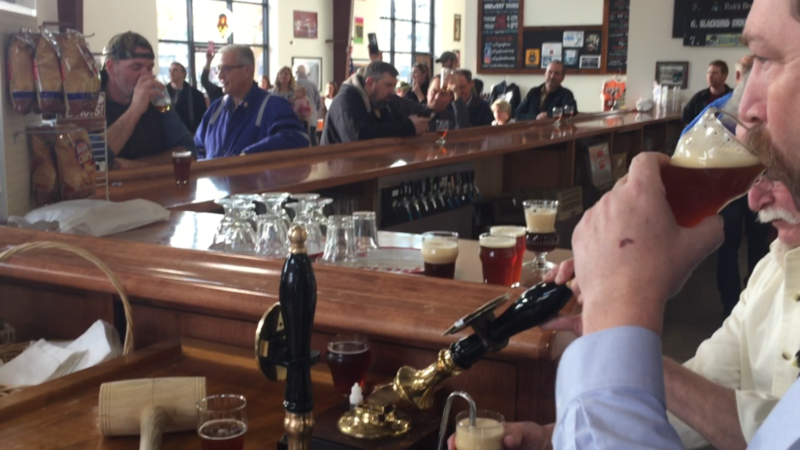 Check our events tab on this webpage for our next fun parties and beer releases. What are we working on beyond winter? Next on the horizon are some international collaborations with two of Ontario, Canada’s most prolific craft brewers, Beau’s All Natural in Vankleek Hill and Great Lakes Brewery just outside Toronto in Etobicoke, ON. 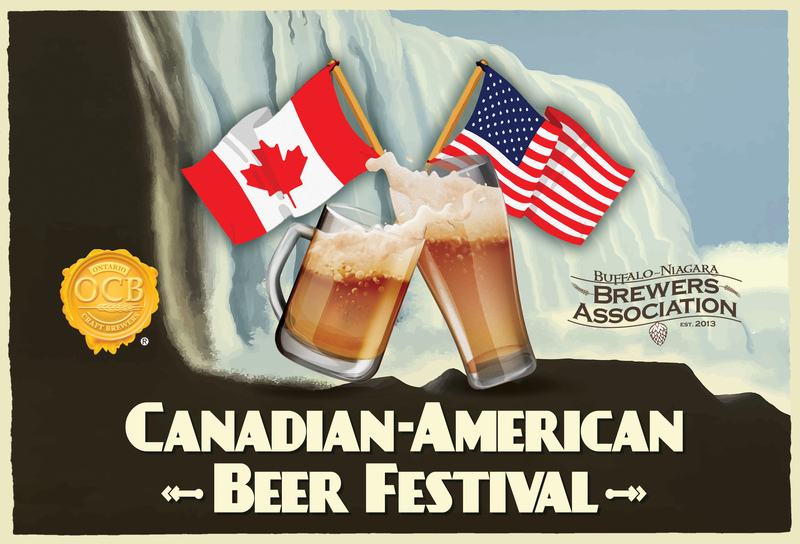 These beers will be made as part of the Canadian American Beer Festival on April 7th, 2018 in Niagara Falls, NY. Western NY and Southern Ontario breweries were matched together in two lottery-style drawing or “draft.” Each participating brewery will both host and travel to a brewery from the other country. We’re working on another international collaboration with a brewery from ‘across the pond’. We’ll let you know more as we work out some details. As for spring beers from our regular & seasonal lineup, we’ll see Barrel Roll Maibock, Polonia Pils, Brindle Porter, and also the return of Aviator Irish Red back in bottles! We’ll be updating this blog more frequently than the 3+ years it took us to write this post, so check back here to see what we’re up to.